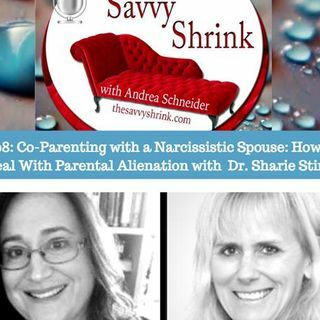 Sharie Stines, PsyD, The Recovery Expert, joins The Savvy Shrink to discuss the challenges of co-parenting with a narcissistic (ex) spouse. She addresses how the non-narcissistic parent can avoid parental alienation and how survivors can raise their children to safely protect them from emotional abuse. Her books are available on Amazon here.